So this will be the first year I’m going to Ad:Tech or any advertising convention. Pretty excited about it and planning on flying in to New York on Tuesday morning. If you are going to be there, and enjoy my blog ;), then let’s meet up as I’d love to meet some new faces! My schedule is pretty packed, and I got a ton of stuff on my to do list, but I promise I will make some time! 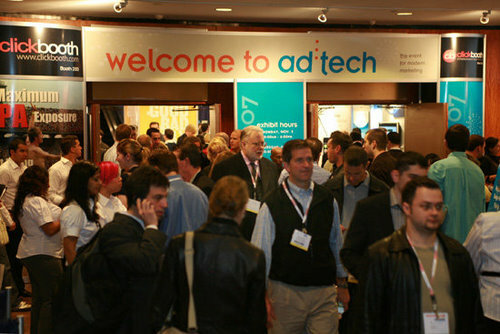 For all of you that don’t know what Ad:Tech is or never heard of it, it pretty much is a big advertising/affiliate convention where tons of companies, networks, and like minded individuals come and meet. There are also a few after parties every day of the convention, which I will be sure to attend! Hopefully I can get in though, since I’m still 20 years old and a bit under age! Let’s hope for the best and see ya all at Ad:Tech New York!